Event is sponsored by Solo Foods, and Red Star Yeast. 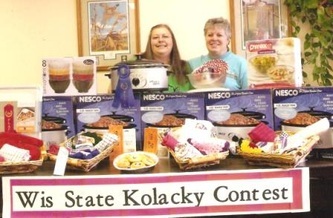 -Any individual may enter the Wisconsin State Kolacky baking contest. 2. Category Two: Modern Kolacky: Made with any type of filling other than what is made in the traditional category.